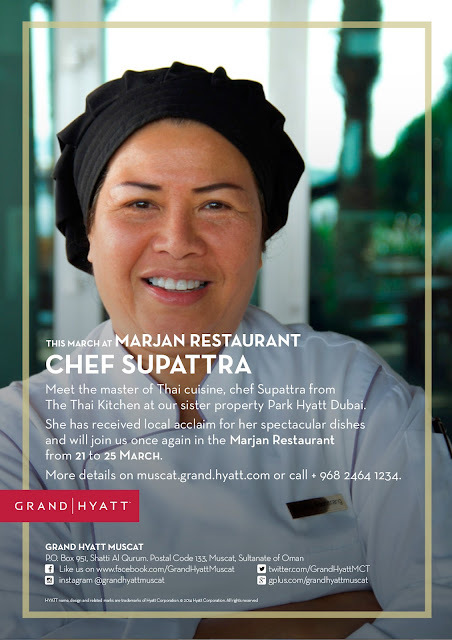 Starting from tomorrow, 21st March and running until the 25th of March is another instalment of Chef Supattra's very tasty Thai food creations. I went last year to try out her dishes and I was not disappointed! She's back for just this week only and if you like Thai food, then you really should consider checking out her offerings down at Marjan for dinner this week.... especially because the weather is still nice out! You can get some more information by clicking here, or you can make a reservation by calling the hotel on +968 2464 1234.